I would love a Judas tree planted in our garden. Don't have one . We did and he betrayed us to the taxman!! The flowers are very fragrant and aromatic leaves followed by bluish-black oblong berries when ripe, which are edible.There is also a form that produces creamy coloured berries but these are much less common. 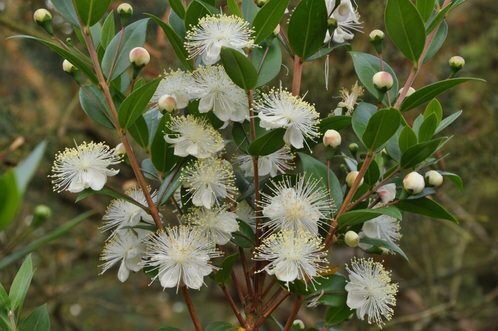 Myrtus communis is widely cultivated as an ornamental plant for use as a shrub in gardens and parks. It is often used as a hedge plant, with its small leaves shearing cleanly. This plant has been used for centuries for its culinary and medicinal properties, to extract essential oils for use in soaps and perfumery and, as an aromatic flavouring in cooking. In parts of southern Spain the leaves are used to help alleviate colds and bronchitis. Myrtle is also regarded as a symbol of love and is still used in bridal wreaths. 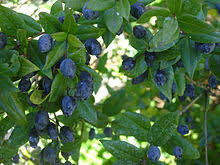 Myrtle berries can be eaten raw or cooked and are sometimes used to flavour savoury dishes. ... Since ancient times, myrtle has also been used as a medicinal plant. The Romans employed it for urinary and respiratory ailments and the Egyptians for nervous afflictions. The leaves and branches are used to make medicine. People take myrtle for treating lung infections including bronchitis, whooping cough, and tuberculosis. They also take it for bladder conditions, diarrhea, and worms. Myrtle might help fight against fungus and bacteria. The leaves are aromatic, balsamic, haemostatic and tonic. Recent research has revealed a substance in the plant that has an antibiotic action. 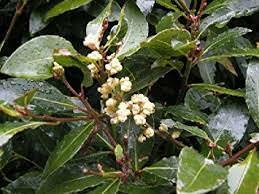 The active ingredients in myrtle are rapidly absorbed and give a violet-like scent to the urine within 15 minutes. The plant is taken internally in the treatment of urinary infections, digestive problems, vaginal discharge, bronchial congestion, sinusitis and dry coughs. In India it is considered to be useful in the treatment of cerebral affections, especially epilepsy. Externally, it is used in the treatment of acne (the essential oil is normally used here), wounds, gum infections and haemorrhoids. The leaves are picked as required and used fresh or dried. An essential oil obtained from the plant is antiseptic. It contains the substance myrtol - this is used as a remedy for gingivitis. The oil is used as a local application in the treatment of rheumatism. The fruit is carminative. It is used in the treatment of dysentery, diarrhoea, haemorrhoids, internal ulceration and rheumatism. All parts of the plant are mildly poisonous. The berries are also poisonous although they are very, very bitter and unlikely to be eaten by young or older humans. 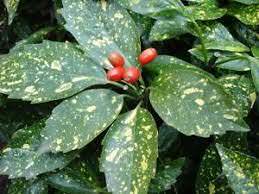 All parts of Spotted Laurel are poisonous to humans and livestock. Edible parts of Spotted Laurel: Leaves - cooked. An emergency food. It would have to be quite an emergency to convince me to eat them. 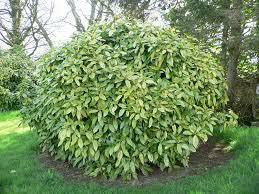 Laurus nobilis is an aromatic evergreen tree or large shrub with green, glabrous leaves, in the flowering plant family Lauraceae. It is native to the Mediterranean region and is used as bay leaf for seasoning in cooking. 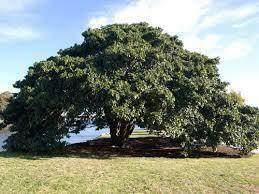 Its common names include bay laurel, sweet bay, bay (esp. United Kingdom), true laurel, Grecian laurel, laurel tree or simply laurel. Laurus nobilis figures prominently in classical Greco-Roman culture. 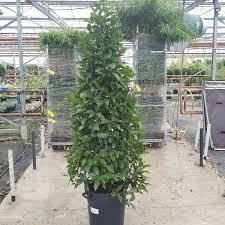 Laurus nobilis are not toxic bay leaves may be eaten without toxic effect. However, they remain unpleasantly stiff even after thorough cooking, and if swallowed whole or in large pieces, they may pose a risk of harming the digestive tract or causing choking. The Greeks made it famous by crowning their heroes with wreathes made out of sweet bay leaves. In addition to decorative use, the leaves and oil are used to make medicine. Bay leaves were used for flavouring by the ancient Greeks. They are a fixture in the cooking of many European cuisines (particularly those of the Mediterranean), as well as in the Americas. They are used in soups, stews, meat, seafood, vegetable dishes, and sauces. The leaves also flavour many classic French dishes. 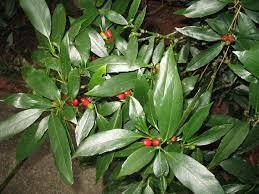 Sweet bay is used to treat cancer and gas; stimulate bile flow; and cause sweating. Nutrient Packed: Bay leaves offer us a healthy dose of vitamins A, C, magnesium, calcium, manganese, potassium, and iron. Bay leaves soothe body aches. Make a decoction of 4-5 bay leaves in 1 litre of water and add to bathwater to relieve sore muscles and rejuvenate the body. Ease joint pain from arthritis. Bay leaf has anti bacterial and anti fungal properties which helps to kill the infection on the scalp. ... A rinse with bay leaf water can help to treat dandruff over hair. Bay leaf water acts like a tonic to hair which helps to treat the dandruff and also eradicate the dandruff built over scalp. 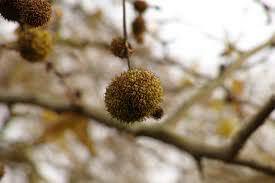 The London plane was once very much the street tree of choice, its benefits to London are immense and cannot be underestimated and although under threat itself from Massaria, this fast growing tree is still a very hardy specimen which is able to resist most pests and diseases. another disease killing Europe's plane trees is Ceratocystis platani, fungus for which there is no apparent cure. When quarter-sawn the timber has a distinctive and highly decorative appearance of dark reddish-brown flecks against a lighter background and is known as lacewood. 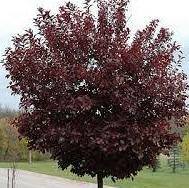 The principal use of these trees is as ornamental trees, especially in urban areas and by roadsides. The London plane is particularly popular for this purpose. 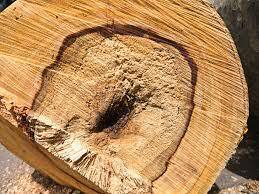 The American plane is cultivated sometimes for timber and investigations have been made into its use as a biomass crop. 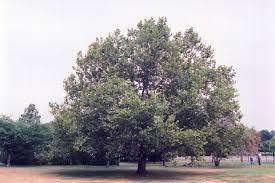 Medicinal use of Oriental Plane: The leaves are astringent and vulnerary. 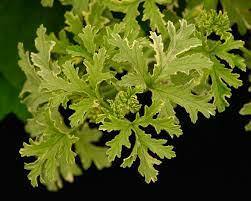 The fresh leaves are bruised and applied to the eyes in the treatment of ophthalmia. A decoction is used to treat dysentery and a cream made from the leaves is used to heal wounds and chilblains. Ficus carica is an Asian species of flowering plant in the mulberry family, known as the common fig. It is the source of the fruit also called the fig and as such is an important crop in those areas where it is grown commercially. and is now widely grown throughout the world, both for its fruit and as an ornamental plant. growing to a height of 7–10 metres (23–33 ft), with smooth white bark. Its fragrant leaves are 12–25 centimetres (4.7–9.8 in) long and 10–18 centimetres (3.9–7.1 in) across, and deeply lobed with three or five lobes. Fig LEAF is POSSIBLY SAFE for most people when taken by mouth for up to one month as a medicine. However, in high doses, fig LATEX, the sap from the tree, might cause bleeding in the digestive tract in some people. Applying fig leaf to the skin is POSSIBLY UNSAFE. It can cause skin to become extra sensitive to the sun. 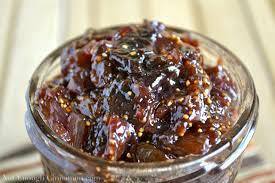 Fig jam is a perfect way to preserve a surfeit of this seductive fruit. The added touch here, beyond the fruit, sugar and lemon juice, is the small amount of balsamic vinegar, which intensifies the sometimes elusive flavor of the figs. Figs are highly beneficial as seen above and are must-haves for an expecting mother. Although good for health, it is advisable to consume this anjeer dry fruit in pregnancy in a proportionate amount. 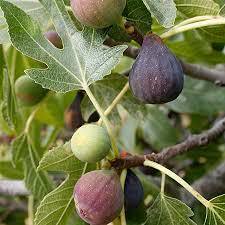 ... Figs prove beneficial for treating skin pigmentation caused during pregnancy. The fruit is commonly eaten. The fruit and leaves are used to make medicine. Fig FRUIT is used as a laxative to relieve constipation. Fig LEAF is used for diabetes, high cholesterol, and skin conditions such as eczema, psoriasis, and vitiligo. One ounce of dried figs has 3 grams of fiber. Fiber may help alleviate constipation and keep you feeling full longer. It may also help lower cholesterol and control blood sugar levels. Figs are a good source of calcium, which can ward off osteoporosis as well as other health issues. 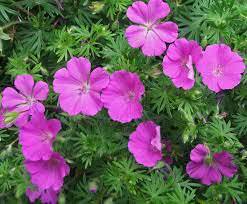 geraniums, are perennial border plants with saucer-shaped flowers in shades of pink, purple and blue. They are easy to grow, thrive in shade and flower for months. ... They're often vigorous plants, which can freely seed themselves around the garden. Blooming from late spring to late summer, the almost fluorescent blossoms rise above a foliage of finely dissected, dark green leaves, that turns bronzy-red in Autumn. 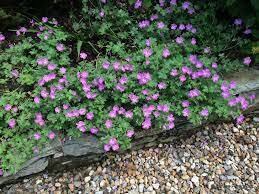 This hardy Geranium is more or less evergreen in mild winter climates. Easy to grow, Geranium 'Elke' provides long-lasting color in the garden. Pelargonium (geranium) Pelargoniums, commonly known as geraniums, are a large, diverse group of mostly evergreen and tender plants used as bedding or houseplants. 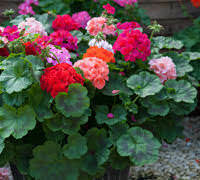 Although pelargoniums are often called geraniums, this is not correct, as the true geraniums are hardy herbaceous plants. Geraniums are not poisonous to humans or pets, and they have a variety of uses. teaYou can make a tea from dried or fresh geranium leaves. For dried leaves, use 2 teaspoons, for fresh use /14 cup. Pour 1 cup of boiling water over the leaves and let sit for 5 minutes. Strain the leaves out and drink. geranium oil is used to help treat acne, sore throats, anxiety, depression and insomnia. It is popular among women due to its rosy smell and its beneficial effect on menstruation and menopause. ... Geranium oil also functions to assist in pain reduction and inflammation. Pelargonium species are evergreen perennials indigenous to temperate and tropical regions of the world, with many species in southern Africa. 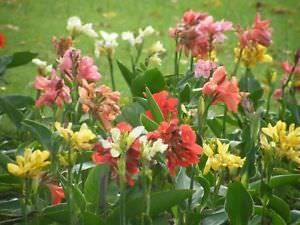 They are drought and heat tolerant, but can tolerate only minor frosts. 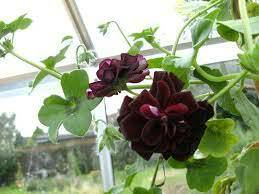 Some species are extremely popular garden plants, grown as houseplants and bedding plants in temperate regions. They have a long flowering period, with flowers mostly in purple, red and orange, or white. 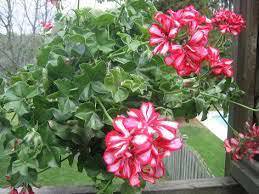 In the family Geraniaceae, Pelargonium peltatum is commonly known as ivy leaf, trailing, or cascading geranium. An herbaceous perennial native to South Africa, P. peltatum was introduced to the cool climates of Holland and England by 1704. 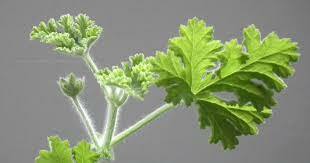 ... Pelargonium comes from the Greek word pelargos or stork. Ivy geraniums typically have blooms in the red-purple family, including shades of red, pink, white, burgundy, lavender and deep purple-black. Petals may display whiskers in a contrasting hue or have a ruffled appearance. Ivy geranium plants flower continuously all season long. Geraniums (Pelargonium spp.) 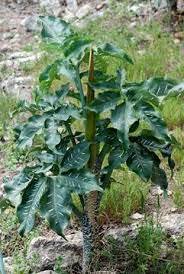 are one such plant that is mildly harmful to both dogs and cats. Cats, being the curious creatures they are, may nibble on or even swallow parts of a geranium. not poisonous to humans or pets, and they have a variety of uses. Some geranium leaves are scented: These are planted in raised beds for disabled and blind people. When they brush past the scent is released so they can smell the plants. These plants have been sentimental favorites for several hundred years. 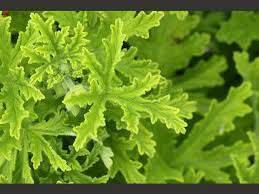 Over 140 varieties of scented leaf pelargoniums are available. The range of detectable scents is remarkable, and includes rose, lime, ginger, peach, lemon, peppermint, nutmeg, oak, strawberry, balsam, apricot, coconut, apple, and many others. Although many scented leaf pelargoniums grow to a large size in the ground, their size can be controlled by keeping them in pots, and by pruning the tips during the growing season. Most are frost tender, and need to be protected during the winter from temperatures in the low 30's (F) and below, and from excessive moisture when they are not in growth. Cuttings root easily in potting soil, and new cuttings can be made for the following year. Plants should be placed where they can be easily touched. Kaloba Pelargonium Cough & Cold Relief Tablets is a traditional herbal medicinal product used to relieve the symptoms of upper respiratory tract infections such as the common cold, based on traditional use only. ... Contains 20mg of Pelargonium sidoides root extract. Also can help treat bronchitis and inflammation of the sinuses. 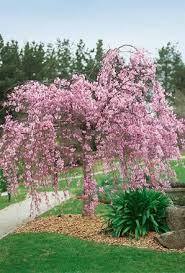 Prunus is a genus of trees and shrubs, which includes the plums, cherries, peaches, nectarines, apricots, and almonds. 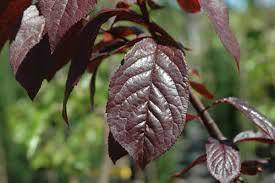 [I DID SAY CONFUSING] Native to the northern temperate regions, there are 430 different species classified under Prunus. Many members of the genus are widely cultivated for their fruit and for decorative purposes. uses of the plant include traditional remedy for diseases and conditions such as fever, malaria, wounds, stomach ache, kidney diseases, and, gonorrhea, and as appetite booster. Pygeum fruits can be eaten raw. The bark is used as medicine. Pygeum is used for treating symptoms of enlarged prostate (benign prostatic hyperplasia, BPH) and prostate cancer. It is also used for pain caused by inflammation, kidney disease, urinary problems, malaria, stomachache, fever, and to increase sexual desire. Almonds have a high oxygen radical absorbing capacity which is another indicator of being rich in antioxidants. is a low-growing annual plant. The native range of the species is Europe and Western Asia and North Africa. 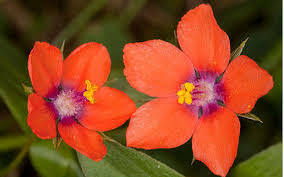 The flower is most widely known as the emblem of the fictional hero the Scarlet Pimpernel. 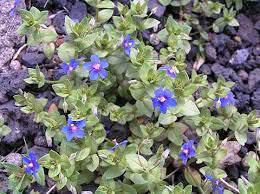 Anagallis arvensis. 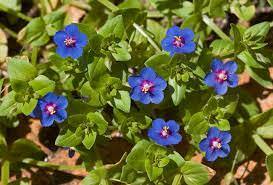 Toxic effect of Anagallis arvensis on humans has not yet been reported. Detail toxicity studies and clinical studies are not being carried out. 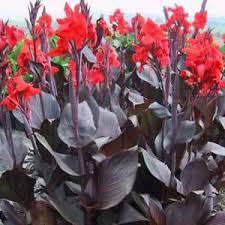 Canna Lilies are a favourite of gardeners everywhere because of their good nature and reliable show. They are also safe around pets and children since they are not poisonous at all. 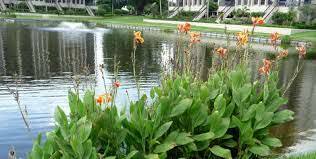 ... Cannas are fast growing plants and can reach 6 feet. They are usually grown by planting a rhizome. The rhizomes of cannas are rich in starch, and it has many uses in agriculture. All of the plant has commercial value, rhizomes for starch (consumption by humans and livestock), stems and foliage for animal fodder, young shoots as a vegetable, and young seeds as an addition to tortillas. 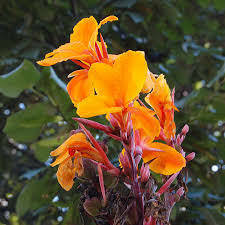 Cannas attract hummingbirds and so can be part of a pollinator and wildlife habitat strategy. Bulbs / rhizomes in use for the manufacture of flour, because the sweet taste of its rhizomes and in use as conditioning. 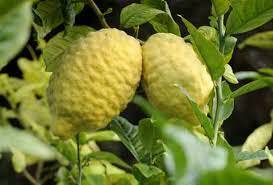 The variety was initially cultivated on the Ionian Islands, of which Corfu is the most prominent, and that is why Jews sometimes call this the Corfu etrog. 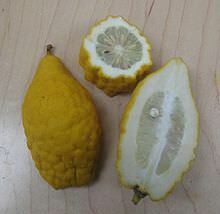 The citron (Citrus medica) is a large fragrant citrus fruit with a thick rind. It is one of the original citrus fruits from which all other citrus types developed through natural hybrid speciation or artificial hybridization. 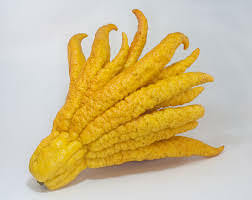 Though citron cultivars take on a wide variety of physical forms, they are all closely related genetically. It is used widely in Asian cuisine, and also in traditional medicines, perfume, and for religious rituals and offerings. 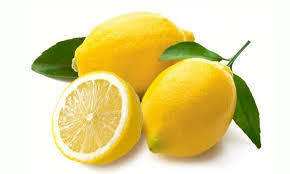 Hybrids of citrons with other citrus are commercially prominent, notably lemons and many limes. 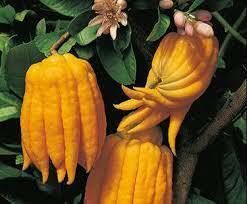 The Buddha’s hand variety of etrog. in Jewish rituals during the festival of Sukkot is to be taken in each hand.
. 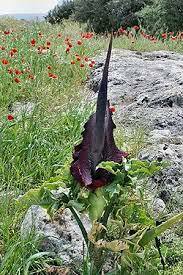 In Greece, part of its native range, the plant is called drakondia, the long spadix being viewed as a small dragon hiding in the spathe. 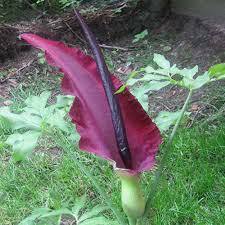 The species is characterized by a large purple spathe and spadix, which has a very unpleasant smell reminiscent of rotting meat to attract flies (Lucilia and others) as pollinators. 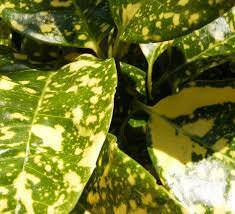 The large palmate leaves have occasional cream flecks along the veins. Not a great deal is known about this plant but it is thought to contain fatty acid methyl esters. The root is toxic and a skin irritant. It produces berries like the Arum maculatum but the taste discourages ingestion.